Thank you so much for visiting my blog today, I really hope you like my project. 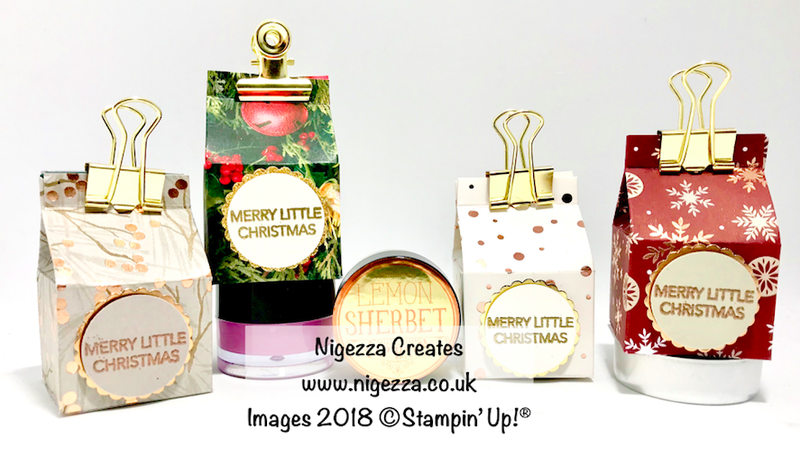 Last year I made some lidded boxes for little lip balms and they were very popular. This year I am making them again for my craft fairs but I decided to change the design. This year they are in Milk Carton Boxes. One of the great things about doing craft fairs is that I get to use retired products.